We hope summer is treating you well so far! We are so happy to be back on the blog. 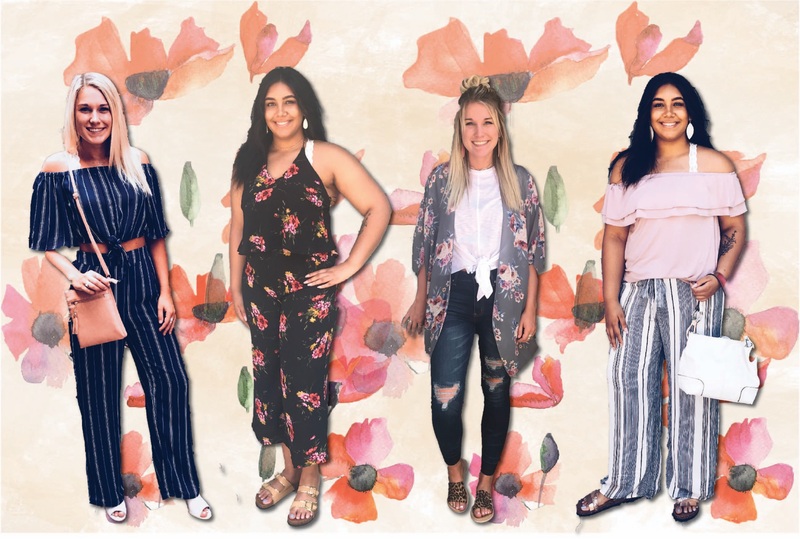 Keep reading to find out more about the top trends for this summer along with some of our favorite pieces! 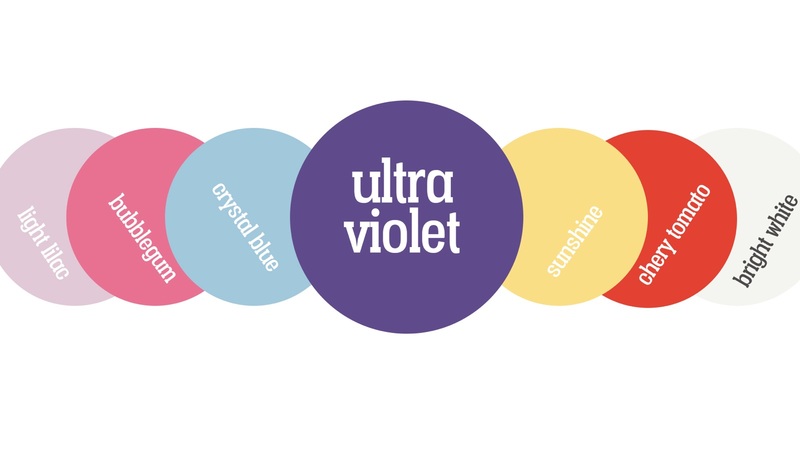 We found this summer's most popular colors to be bold pastels that can go along with almost anything! These colors pair perfectly with each other for a colorful statement or with staple colors such as black and white. During these summer months we are seeing many patterns emerge. The floral pattern is one recurring pattern we tend to see the most during those summer months. The variety of colors and the endless pattern designs can be worn almost anywhere! Another pattern we are loving this summer is stripes. Stripes are a CLASSIC and can be styled in many different ways. Our favorite way to wear stripes is with one of our bright pastel summer colors mentioned above. Ruffles, also on trend this summer, make that flowy comfortable look more chic. Pair a ruffled top or bottom with another simple piece to emphasize the details! Some of the pieces we have found to be the most popular this summer include “paper-bag” style pants and shorts, platform shoes, off-the-shoulder tops as well as two piece sets. Tube tops, jumpsuits, front tie tops and wrap dresses are also a must have item for your summer wardrobe. 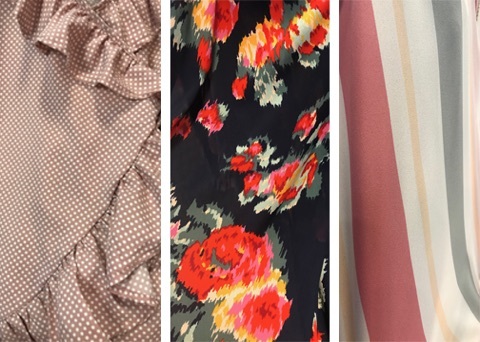 All of these pieces can add a flirty and fun style to your look!